This is a follow-up on my blog on the right brain chasm, which had a lot of traffic. Well, at least for my blog it had! I was also encouraged by an S&OP practitioner who told me that he was inspired by my lecture on this topic during a conference. I think I have to set something straight. Some of the comments on my blog suggest that the right brain chasm issue is about clearly ‘owning’ the S&OP process at the most senior level and therefore put it in the simple ‘leadership’ bucket. Yes, I think we all agree that leadership is key in implementing S&OP or any change for that matter. My S&OP pulse check survey’s in 2010, 2011 and 2012 all indicate that senior leadership is the biggest roadblock in implementing S&OP. But that’s not what I’m talking about. ‘Owning’ the process by the most senior business leaders is just the start. I’m talking about the biggest issue and opportunity business and thought leaders have to start addressing to make S&OP or business as a whole more effective. The biggest opportunity is to find ways to build a business culture with critical mass of people who show cooperative behaviours, want to understand the other silo and are open to be influenced by the other silo’s, be it function or business unit, customer or supplier. Actively create groups that cross the silo’s and think holistic in ‘we’ and ‘us’, rather than in ‘I’ and ‘me’. 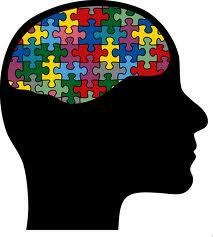 Thinking holistic is a right brain activity. If we want to cross a silo effectively, we have to understand the other silo’s motivations, goals and feelings. We need to have empathy for the other silo. Feelings and empathy are right brain activities as well. Crossing the right brain chasm is not an easy task for business leaders, as crossing the silos is hard for us humans. Historically we are wired to stay in our silo. That’s just our survival instincts. Staying in our own clan or herd, means risk reduction, certainty, safety and a higher change to survive. On top of this there is research that indicates that only 50% of people cooperate naturally and 30% behaves selfish. Fuelled by social networking we see evidence of more narcissism and ‘I’ and ‘me’ thinking. So the challenge to understand the other silo and think holistic only seems to get bigger. Business leaders have to first understand the right brain chasm before addressing it. Business leaders then need to educate their people in understanding and using their right brain; if we want to start crossing the borders of our silo’s to start communicating and collaborating more efficiently. Building critical mass of people who have a developed right brain and are willing to use it is where the real value for businesses is. It will pay back through transparent, timely information sharing and speed and agility in decision making or correcting mistakes. And if done right, it will pay back more than any other investment in training, process or technology. Business and supply chain leaders are mostly left brainers and don’t think (yet) like this. They think logic, KPI’s and analytics. They think left brain. This is how supply chain and S&OP have evolved the last 30 years and achieved great things. My point is; it’s time to change if we want to bring things to a whole new level. I can’t say that what I’m saying is totally new as Daniel Pink already described in ‘a whole new mind’ the importance of the right brain in today’s world. My angle is just slightly different from Pink’s. For me crossing the right brain chasm is the only solution for real efficient horizontal business processes and the key for a collaborative environment.